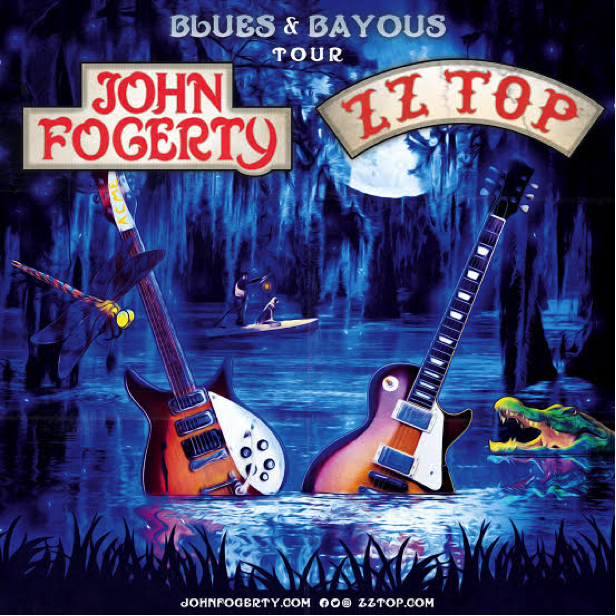 Los Angeles, CA (February 26, 2018) – Announced today, legendary rock musicians and cultural icons John Fogerty and ZZ Top will come together for the “Blues and Bayous Tour” this spring. The tour, which opens on May 25th , will make stops across the USA from the East Coast to the West. The full tour schedule is attached, below. As co-founder of Creedence Clearwater Revival, Fogerty’s career spans 50 years and he is hailed as one of the most influential musicians in rock history. As the writer, singer and producer of numerous classic hits including “Born on the Bayou”, “Green River”, “Proud Mary”, and “Bad Moon Rising”, Fogerty has been honored as one of the 100 Greatest Guitarists, 100 Greatest Songwriters, and 100 Greatest Singers by Rolling Stone. Earning induction to the Rock and Roll Hall of Fame, Songwriters Hall of Fame, and Baseball Hall of Fame, he is also a New York Times best-selling author for his memoir, Fortunate Son: My Life, My Music.